“Across the Fence” refers to secret recon missions run by the SOG (Studies and Observations Group) in Vietnam. The “fence” is the Vietnam border. SOG teams went out on missions across the border into Laos and Cambodia when U.S. forces were not supposed to be in these neutral countries. Across the Fence: The Secret War in Vietnam (SOG Publishing, 334 pp., $24.95, paper; $3.29, Kindle) is a memoir by John Stryker Meyer, who was in the Army Special Forces assigned to SOG from April 1968 to April 1970. Specials Forces members of SOG were sworn to secrecy. They could not tell their parents, girlfriends, or buddies what they were doing, and they agreed to keep quiet for twenty years. The recon teams consisted of six-to-eight men, and each team had several South Vietnamese Army members. The 219th Vietnamese Air Force transported the recon teams using H-34 helicopters nicknamed “kingbees.” They could take more enemy fire than any other helicopter and still fly. Stryker’s writing gives vivid accounts of the secret missions into Laos and Cambodia. His description of being plucked from a landing zone in Laos and dangling by a rope under a speeding Kingbee moments before the LZ was overrun by North Vietnamese troops was breathtaking. The NVA knew that these missions were operating across the fence, and a large bounty was placed on SOG heads. Most striking about the book is the high volume of photos and the information on what happened to SOG veterans Stryker chronicles. He includes a conversation that took place 31 years later between SOG member Lynne Black and the NVA general his team encountered. 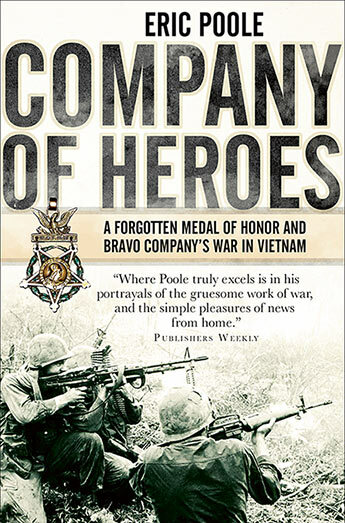 This book gives an excellent first-hand account of little-known Vietnam War operations and the people who carried them out. It’s a great read.